. . . of all the beautiful things there to look forward to in spring — longer days and the promise of evenings on terraces, pastel dresses with golden shoes and the first magnolia blossoms — perhaps the most intoxicating, might be the change to begin again at winter’s end, fresh and new and in extravagant shades of spring white . . .
that ceiling detail is to die for. amazing. Gorgeous. I want to live in this post. This spread is breath taking, literally makes me want to cry, everything is so beautiful. Your eye for the details is unreal, ie. the shapes on the ceiling. Wow, and the Pulp bottles.SO much glamour and luxury. What beautiful images! 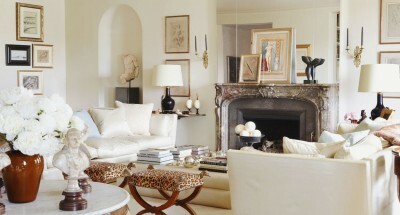 There is something so fitting about white images and the onset of spring! I really do love white interiors. Bright, airy and fresh. The bed is one I would love to curl up in right about now. I’d love you to visit my new blog and let me know what you think. Love, love how fresh and clean everything looks!! Reminds me of John Lennon and Yoko Ono’s apartment! Love the pristine white, but I’d be so nervous I’d get it dirty…. The detail in those moldings are to die for! Amazing post – amazing blog:)! I’m so looking forward to Spring. So clean and crisp, can’t go wrong with all white. Lovely! Beautiful! Lovely blog; I’m a new follower! Wjem ,u apartment ws decorated in creamy whites it was the most relaxing time of my life. Beautiful post as always. I love the calm and the inspitation. Oh my goodness, this is heavenly, Roséline! I had to look over this post 3x to appreciate the beautiful details throughout. Lovely! I just love the back of that sweater with the keyhole. so pretty. Lovely lovely post! The detailing on the back of that lace white dress is absolutely heavenly. I can’t wait for spring! Love all the whites, their gorgeous!!! Clean, classy, and chic. I love this theme! Love the mirror and the white bag :) Love to wear white it is so light and reminds me of spring and summer!